Your cats are live. You will want to rez them as soon as you can. If you are unfamiliar with how to rez an item, all you have to do is drag your cat from your inventory to your land. * For cats in crates, you need to right click on the crate, select “Open”, then copy the objects to your inventory. Find the folder containing your cat, then drag and drop it onto your land. * For cats in sacks, left click on the sack, and select “Birth” from the menu that pops up. These are the symbols you will see in the hovertext over the cats you have birthed from their sacks. You will see these during specific times when they are eating Pet Food or Breeding Food and Catnip. Major stat levels are indicated with a range of numbers from 1 to 100. The one exception to this is the Hunger stat, which explained below. Ω Age – The cumulative amount of days your cat has been alive since the time it was birthed from its sack or crate. ☪ Moxie – Moxie is our term for knowing if your animal is rezzed in Second Life. This is a way for us to know if our servers are able to maintain good communication with your cat. Moxie will accumulate each full day your cat is rezzed inworld. When you are breeding your cat, Moxie needs to be at 60 points or greater. Breeding will stall if Moxie drops below 60 points and will resume again once it has 60 points or more. ♨ Hunger – You should try to keep this stat at 0, all the time. Your cat will eat twice a day. It will start to go hungry increasing this stat by 10 points for every meal missed. This will change the hovertext over your cat from white to yellow, giving you a visual clue that you need to check its food supply. If your cat is breeding, all breeding will stall until food is obtained and your cat eats enough portions to bring this stat back down to 0. Should your cat’s Hunger stat reach 100, it will become sick. This is indicated by the hovertext above your cat turning from yellow to red. Once your cat is in the red, it won’t eat without extra help. To encourage it to eat again you will need a Healing Bowl of Cream. You have until the Hunger stat reaches 161 to restore your cat to better health. If your cat’s Hunger reaches 161, it will die. At this point, you won’t be able to get it back. It will be gone for good. ⚡ Sleep – This stat is simply a timer for when your cat needs to sleep. It serves as a visual for you to understand your cat better. Sleep has no effect on your cat’s breeding. Generally, most cats spend a lot of time sleeping. This is a way for us to emulate a real cat’s natural behavior. When your cat is younger, it will be able to stay awake and remain more active than when it’s older. We’re sure that everyone can appreciate the need for a nap from time to time. ☺ Happy – This stat indicates how Happy your cat is. It will only become available when you turn breeding on for your cat. Once breeding is turned on, your cat will require Catnip to increase this stat. A cat will be ready to gain Heat once their Happy stat is at 50 or greater. ♤ Heat – Heat indicates the increasing drive for a cat to mate with its partner. The stat will only become available when breeding is turned on for your cat. This stat will start to accumulate after the cat is 6 days old, if it has had Breeding Food turned on, and its Happy stat is 50 or above. ♋ Pregnancy – Once a female cat has reached 100 Heat. it has the ability to have cubs. When your cat is coupled to its partner and both cats are at 100 Heat, they will become Pregnant. As long as your cat has a Moxie value of at least 60, and your cat hasn’t missed a meal, its Pregnancy will increase. When your female cat reaches a Pregnancy of 100, the mated pair will give birth to their litter. A litter of cubs could range from a single birth, to twins, or triplets. Your Wild Kajaera Food is distributed to your cat by what we call server side feeding. This process makes feeding your cat automatic and independent from Second Life. 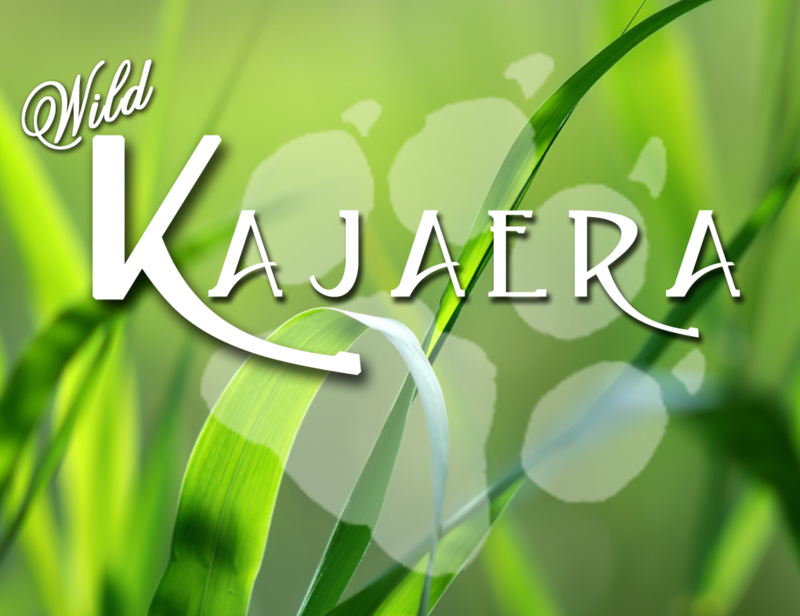 The food portions are housed on our server and can be found in your Wild Kajaera Inventory on the WK Portal Page. You can access your WK Inventory by logging onto your portal page, then clicking the “Items” button. By housing WK Food on our servers it provides a true indicator for the amount of food portions you have, independent of Second Life lag, restarts, or any other SL specific issue. We advise you to check your portions often from the WK Portal Page. Pet Food is what you need for cats 0-2 days old or for the ones you aren’t breeding. All cats 0-2 days old will not have the option to eat breeding food, so having Pet Food on hand is vital. If you bought cats from our vendors, the crate will come with Pet Food. Your cat’s hovertext will turn from white to yellow if it misses a meal. If it misses 10 meals, the hovertext will turn red. Once the hovertext turns red, your cat is sick, and you will need a Healing Bowl of Cream to encourage it to eat again. For all Pet Food bowls that are rezzed inworld, on your land, you will receive a warning message, once the portions start running low. This reminds you that you need to add more food. Breeding Food is what your cats will eat once they reach 3 days old, and you decide to turn breeding on. After starting your cat on breeding food, and it has a Happy level of at least 50, you will see Heat start to rise. Moxie will factor into this as well. Your cat has to have Moxie of 60 (or greater) for pregnancy to occur. Should you run out of Breeding Food during this time, the hovertext will turn yellow once your cat misses a meal. If it misses 10 meals, the hovertext will turn red indicating that its sick. If this happens, you will need a Healing Bowl of Cream to encourage it to eat again. For each Breeding Food bowl you have rezzed inworld, on your land, you will receive a warning message, once the portions start running low. This will remind you that you need to add more food. Catnip is what raises your cats Happy level. It comes in two forms. The first form is a catnip plant that will feed all the cats you have breeding. You will receive warning messages once you start to run low on catnip portions for all plants rezzed on your land. The second form is a Happy Teddy which will feed only the cat it is assigned to. There’s no warning if catnip runs out using your Happy Teddy, so check this as often as you check your food levels. Like newborn cubs in the real world, your WK Big Cats are born with their eyes closed. They’ll open their eyes 12 hours after being born. All animations are automatic in the cubs stationary pose. The newborn cub will shift about as if they are trying to gain strength to walk. Food, by default, is set to Pet Food, and is the only food your newborn cub will need. At one day old, your cat will be able to move around on your land. The Menu will change by adding the Breed option. If you intend to breed your cat, you will need to turn breeding on. Click your cat to bring up the menu, then select Breed > Breed. Make sure you have Breeding Food and catnip available, or it will go hungry after missing its first meal. If you ever want to stop breeding, simply click your cat again to bring up the Menu. Then, select Breed > Pet. This will switch your cat back to basic Pet Food, and it will no longer be eating Catnip or Breeding Food. By now, you can fully enjoy your cubs and their behavior. Once breeding is turned on, your cat will eat both Catnip and Breeding Food. Heat won’t rise until the cats reach 6 days old and have a Happy value of at least 50. Your cat is fully grown on day 10. Sit back and enjoy the benefits of your wonderful cat! ~ See In World Button page for a break down of what each does. Hi i would love to find an explanation on the really incredibly tiny symbols that are displayed above the cats ??? I can’t figure out what they are, I think one is a face, happy or sad a bowl & the rest is beyond me, Thanks great blog !!! Make sure cat is set to the Breeding if you bought breeding food they only eat twice a day so it will take some time to get back to the 0 hunger. If you only have breeding food and they were set to pet they wont look for any food but pet. Pet food is used on cats age 0 to 3 at 3 they can be set to breeding. Feel Free to contact the group for more help or QueenFelinea, Kay Rembrandt or Jaed Cartier in SL. Do cats have to be coupled to breed or can they choose their own mates if you keep them uncoupled? They do need to be coupled they will not do so at random this is for you to choose who they breed with. How do you forever pet a cat? To make a cat not eat any more you need to go to the WK Store location and look for the Booster Chalk Board. Once you have located the booster chalk board and click you will want to select product ID 480. Then right click the board again and pay the fee. Once you have the Forever pet potion you will need to rezz it click it and assign it to the cat. How does one “Forever Pet” a cat? Pingback: Looking for a link? i love this cats. I never have seen so great Breedables. They are awsome scripted and realy cute. i love to view them playing with the teddys or the ball or catch the mouse. realy wonderfull work. May in future they come if you call their names, that would be great. i have a problem.without realizing it i deeded my cat to the group that my land is on..and now i cant do anything with it..i cant even get a retrieval now .what do i do? This has been reversed for you and the cat has been MOOGed to you. Hello my cat won’t eat nor will she move. I was wondering if it was because I rent on someone’s land. Do I need to deed her to the group? There are many things that can be going on. It would be best if you contact the group and one of the CSRs are available 24 hours a day. Or if you prefer IM Jaed Cartier Kay Rembrandt or Queenfelinea in world. We will be happy to assist you. I have a question I haven’t noticed addressed here. I seem to have different interaction options on my cats. I am wondering if this was by design, or if my cat is just not updating when I synch. The Interaction – Walk (which is very well written) is only available on one cat. Is this a bug or do cats have different interactions? There are other differences as well. That is just my favorite. Thanks! The Walk feature came out in version 1.3.0 if you have cats that are older versions you can update them. All species have the feature. They can be used when the mom cat is at 90 or 95% pregnant and it will make mom go into delivery of the cub/s. If your cat has reached 100 on its food stat it will need a WK Healing Bowl of Cream to start it eating again. You can pick these up on the Booster Board at any of the stores. how many litters can the cats have all together? Found in the manual along with other great information in the general information section. The cats will breed on your time table up to 10 litters. I just want to be certain I understand… the Forever Pet booster makes them where you don’t have to feed them anymore and they are just a pet? If you breed your cats, how many cubs are in a litter? In some of the entries I’ve read it sounded like one but I wasn’t sure if this is correct. Litters can be 1-3 babies most common is 1, and then 2 and on a rare case 3. On the dashboard, when you like check pregnancy, why do some say inactive and some say active? They are not inactive. They are rezzed, pregnant and animations are on. WE changed where the active in active bit was being stored the only location for you to find this information now is on the inactive animal button or the Total Animals. Thank you for point out the over sight on part from pulling it off the pregnancy page. If I am riding my tiger, can I teleport while riding and they be at the next location that I teleported to? Or will they return home if I teleport while riding? If you want your cat to go with you on Teleport you need to use the Walk feature found under the interacts. Ride is only while you are on the sim with them. Once you TP the cat goes back to doing what it was doing. My cat is not following interaction commands. I have bought the tress for her to climb and she does not climb them even when I prompt her too. I also have the butterflies for her to play with but she is not playing with them, she is only plating with her bunny. is there something I need to do to make her use the other items I have purchased for her? The issue with why your cats are not going to the tree is the range is two small. Your cats range is currently set to 10 working with the Big Oak Cat Hangout tree you want to use at least a 15 or 20 meter range so that it will encompass the whole tree. The cat is basically telling you that its out side of its area to go and it doesn’t want to get lost. I am getting ready to move to another sim. Do I have to return the cat to inventory or Moog it at the WK portal? You can take them to inventory and rezz them out but if they are not the current version is a good time to update them. My tiger just had a baby, but I can’t find the sack. Is there a certain process for this? You will need to log into the website and webMOOG the sack. It is the same process as updating the cats. If you need more help please IM the group and ask for a CSR they will be happy to help you. My cat just disappeared. One moment he was laying next to me while I was dressing, the next minute he was gone. I’ve searched the property and my inventory and he is nowhere to be found. Does anyone have any suggestions? If I put my cats in my inventory and they don’t get fed for 30 days will they die? Cats can survive in your inventory as long as you have food. They can NOT breed in your inventory a Moxie is needed to advance pregnancy. Could you update to add the Bottle of Ooopsie explanation? Does both need it or just the mom and does it erase a pg and reset the total pg count? Ooopsie will end the pregnancy on the couple effecting both the male and the female. Scared on is if you wish them to be scared when you walk by them. They will then fly up into the air, circle of a a few minutes till they feel same again and then land. What happens after all 10 litters have occurred? Do the cats become forever pets and no longer require feeding? They no longer can breed but still need food. You can choose to make them a forever pet with the potion found on the booster board at the store. You can also turn them on to pet food and keep them that way. To turn them back to pet food it is in the Menu > Breeding > Pet. This will tell them to only eat pet food. Is it possible to bred a Jaguar and tiger ? Yes, this is how traits are passed from one species to the next. The resulting cub may even have different color eyes. The cub species will be either or at this time. my cat is 223 days old, does it matter on the age if and when they stop eating ? Is he retired ? his stats are in yellow and his numbers keep going lower what can i do ? The animals stats are in yellow because he can’t find food, check your food supply. As for stopping eating no unless a forever pet potion is used they will always look for food to stay alive. How do you use the Sanctuary Points? I just sent two cats to sanctuary and got points for them but not sure how to use them. You can check out the Rarity Calculator on the Dashboard of the Wild Kajaera Website. IF you don’t have log in information visit the store to activate. If cat is on Pregnancy 5, how long until the tiger gives birth? My female tiger is on Pregnancy 5 and is an Expecting Mother. A Cat will gain a total of 20 points in a day on pregnancy and will last a total of 5 days with out the use of boosters. Boosters can speed this up at an additional cost. 1) I’m at a store somewhere and i see a lot os sick tigers, can they and if so how can they get better? 2) And if my wife has food for wolfs on our sim, do my wolfs eat from that too? As long as a animal is food less then 160 they can be healed with a Healing Bowl of Cream. Food is not shared between owners each owner needs there own set of food items, however the items do not need to be razzed as long as you track the food usage on our website. i want to know what happens to my cat if i send it to sanctuary ? It goes off the grid and is no longer recoverable. Contact a CSR in the *WK Wild Kajaera* secondlife:///app/group/a754e686-96df-567a-660d-a37c01d7b862/about and they will assist you. What is the zeta in the options menu? Those are the z’s that come from them when they are sleeping. Generally if Happy and Heat and Moxie are up to 100 there is no issues with them turning over in pregnancy. If you IM the group in world and ask for a CSR they will be happy to look up your animals and assist you. How long is the recovery period after a cat/wild dog gives birth in order for them to become pregnant again? They do not have a traditional cool down period if you will the heat and happy start to rebuild next feeding. When breeding is the heat to be at a special number? Heat and Happy has to be 100 and Moxie needs to be greater then 60. Hi there.. I’ve just recently become a member of WK and am so very excited to start.. I wanted to buy some items to be sure I have enough and so I got healing cream and food.. However when I bought the healing cream i have yet to see it in my items in the dashboard.. I did get the food but no healing cream and I made sure i did pay by checking my transaction history and its showing as a payment was made.. any advice i tried moog but the drop down menus dont have any ID options.. ugh.. Contact Queenfelinea with your transaction history and will help you sort it out. Is it possible to breed a lion and a leopard? Can I breed sibling cats? Yes, Cats can breed back to parents and to siblings. Does it give you any benefit to do so as will it unlock anything special no its not looked at as a family relation. The same with twins and triplets the system does not mark them in any way to know that they were so no special benefit. The special benefit you do get is the strengthening of traits. If they have similar traits that you want to carry forward. Hello, I am new to WK, and the c-section blanket…do I need to buy one…or will they birth without one…and if I have to have one..do I have to keep buying a new c-section blanket for every new litter? C Sections are not required they will birth with out them. It can be used at 90 or 95 of the pregnancy so it speeds up approximately by 6 or 12 hours. What is the Habitat button in the menu for i cant seem to find a explanation anywhere. Habitat Button is used for the Different Habitats available currently there are two on the Market Place currently and more are in the works. The button tells the animals to stay with in the habitat area.